Ding-Ding – The Proposal to Complete Edinburgh’s Tramline to Newhaven has been approved. Since 2016 our capital has been planning for an additional 47,000 people by 2024, and an additional 102,000 by 2039 – taking the total population to 594,712. This is a breath-taking pace, and such a pace cannot help but create new ills as it dispels old, new ignorance, new problems and new dangers. Key amongst the challenges is housing and transport – our city is already congested and polluted, and nobody wants to build more homes on our greenbelt. 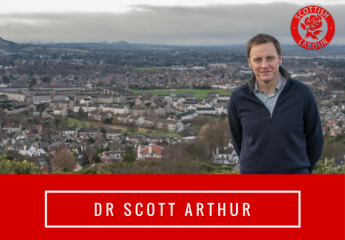 Key to solving this problem is making former industrial sites in the north of Edinburgh more attractive to developers by connecting them to employment opportunities in the City Centre, Edinburgh Park and the Airport. This is the aim at the heart of why Edinburgh’s Councillors recently agreed to use the profits from Edinburgh’s publicly owned tram and bus service to complete the tramline to Newhaven. With an estimated cost of £207.3m, however, it was not easy for me to back the proposal despite the fact that £1.40 of benefits are expected for every £1 spent on the project. I was surrounded by people who either absolutely supported the project or absolutely opposed it, whilst I was somewhere in the middle. As with many things in life, many of those with the strongest views appeared to be the least well informed. Although I understood the benefits the project could deliver, my concerns were quite wide ranging: (1) The Tram Inquiry has not yet reported; (2) The Environmental Impact Assessment dates back to 2003; (3) The risks associated with Brexit and a second Independence Referendum have not been explicitly considered despite being noted as a concern in earlier reports; and, (4) The impact on Lothian Buses. Although I had these concerns, it was clear to me that there is a need to cut congestion and stimulate development in the north of Edinburgh, and right now completing the tramline to Newhaven appears to be the best way of doing that. I say that accepting that the £207.3m target price has a 1 in 5 chance of being exceeded, but in the knowledge that the Council has a £50m contingency in place if needed. More of my thoughts on the tram project can be found here.